I was recently sent this phone case from Mr Nutcase which I was allowed to personalise myself and wow, it is amazing! My friends love it and within a day of having it I had two friends who said they were going to order one for themselves. On Mr Nutcase you can upload your own photos and design your own case. It arrived so quick after ordering it, I was so shocked, I didn’t expect that at all. The case is such great quality and the photos have printed up better than expected. The only fault is I wish it had a hole in the case for the charger but you can’t have it all! Apart from that it is pretty much perfect. If you don’t fancy designing a case like this you can choose from their variety of designs on their site such as paw prints, leopard print or floral. I wanted photos on mine as it feels so personal and it’s also unlike any phone case I have seen before and completely different to what anyone else will have. I got the Executive flip leather style case for iPhone5 which costs £19.95 which I think is worth it to have the case personalised and for it’s great quality and speedy delivery. 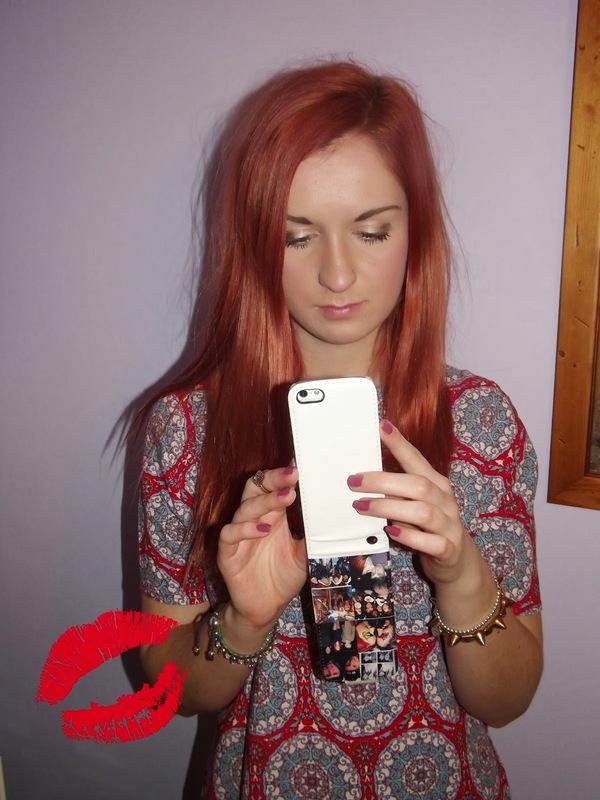 And here is a cringey photo of me using my phone with the case on! HAHA! Don’t forget I am running a giveaway to win an item from Sammydress. It takes just seconds to enter!